TimeOut Lodon rated this place a 4 out of 5. That means it should probably be good right? Well, I thought it was actually amazing. I was reading the TimeOut one Tuesday afternoon and decided to check this place out. I would say this was one of the best choices I've made while living in London. 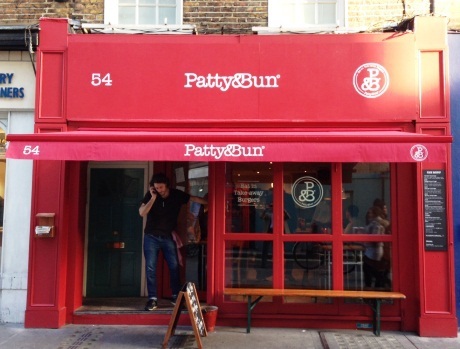 Patty & Bun is a burger shop located about 5 minutes from Bond st tube station. It's a very small burger shop that is always busy. My tip would be to not aim for lunch or dinner, because the place will overflow with hungry folks. Their menu is very simple with just 5 different burgers listed. TimeOut specifically recommend the 'Smokey Robinson,' so of course I decided to go for that one. The burger consists of a beef patty, cheese, lettuce, caramelized onions, bacon, ketchup, Patty & Bun's very own Smokey Robinson mayo, briocha. If that does not sound good to you, I don't know what else to say. In addition to a burger, you can get a side of coleslaw, chips, wings or a house salad. 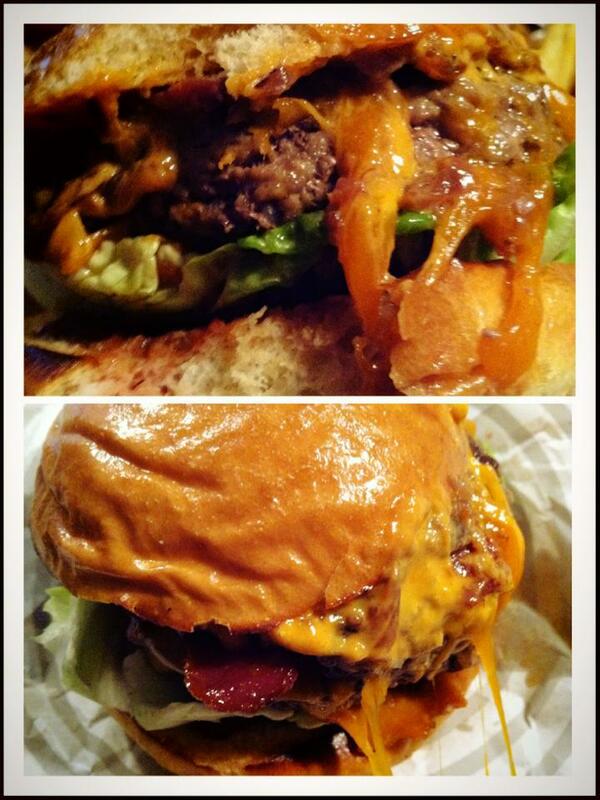 I decided on chips and the portion of the burger and chips was perfect. The best 11 pounds I spent on a meal yet. And chips on the side, of course. I sat next to a group of people who came to Patty & Bun just because they were featured in TimeOut. They all had the 'Smokey Robinson' as well and loved it just as much as I do. Here is the link to Patty & Bun's website. 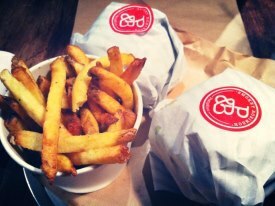 If this article made you hungry, definitely make a trip there soon or later.